Sabrina is a person who just loves to meet and help people. Plain and simple. Whether it's with real estate or personal concerns, she likes making a difference. By degree Sabrina is an exercise physiologist. She is a person of high energy and big goals. 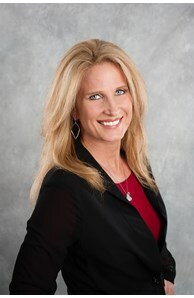 But, Sabrina's biggest interest is in developing and maintaining long term relationships with her clients and friends. She has always been in the “people business.” For the past 22 years, Sabrina has owned a wellness business called Healthier Living, Inc. Sabrina’s ongoing personal development drives her, and she has chosen to blend her wellness business with another passion – real estate! Having grown up in the military and having moved many times she knows how to quickly make houses into a home, as she has bought and sold many homes of her own. Also her years of successful experience in sales, business and customer service have segued nicely into her career as a Texas Realtor. Sabrina is actively involved in the Possum Kingdom Lake area . She is the social committee chairman for the Hills Above PK where she has lived for almost 6 years. She served as the VP of the PK Women's Club in 2014-15 but it still actively involved in this organization. Sabrina also leads a women's bible study at the church in Graham that she has attended for 4 years now. Being connected in relationships is a high priority with Sabrina. Understanding the process of finding and buying the right l house and creating a welcoming home is one of Sabrina’s strengths. Sabrina lived in North Tarrant County full time for 23 years before moving out to the Possum Kingdom Lake area. She is very comfortable helping to list homes and help buyers find homes in Tarrant County, especially in the Grapeveine, Southlake, Colleyville, Keller, HEB areas. She is back in the DFW Metroplex often as she helps oversee the company, Sparkman Electric, LLC that and her husband, Allan, own together. However, Sabrina and Allan have lived full time at the Hills Above Possum Kingdom Lake for the past 5.5 years. She believes that PK Lake is the most beautiful lake in Texas and a "well-kept secret". It is only 1.5 hours west of Ft Worth and a beautiful place to retire, vacation, or building a secondary home. It is one of the few places around the world that hosts the well-known Red Bull International Cliff Diving that happens once a year at Hell's Gate in Sportsmans World. Come visit the "Great Lake of Texas"! Sabrina completed an additional 90 hours of continuing education within her first year of being a Realtor and was awarded the prestigious GRI ( Graduate of the Realtor Institute) designation in 2016. Only 10% of Realtors ever complete this tough designation. She also obtained her ABR ( accredited buyers rep) certification in February 2018. . Her goal is to continue to obtain all of the continued education she can to better help her clients now and in the future!